← To Be, Or Not To Be? That Is Not The Question. It is fascinating to me how a question can come from nowhere and lodge in your mind. At some point it becomes very important, and the longer it goes without an answer, the more important it seems to be. This time period can vary from five minutes to years. Luckily, we have Google, or whatever search engine you prefer, to answer our burning questions. So, the question that came to me some time ago was, “Why do all racing events that are held on a circular or oval course always move in a counter-clockwise direction?” This applies to humans racing on land and ice, horse racing, auto racing, dog racing, indoor bicycle racing, and even the baseball diamond requires the base runners to go counter-clockwise. I know there are more pressing questions in our world that need answering, but sometimes a very small pebble in your shoe gets the most attention. On Google I discovered that I was not the only person asking that question. I also learned that there is no definitive answer. Certainly there are many theories and postulations, but no one single answer that goes unchallenged. One thing I did find in my serious research was that all races, in fact, do not move counter-clockwise. For instance in some European countries, car racing often moves in a clockwise direction, because the steering wheel is on the right side of the vehicle. When the foot race was revived in the nineteenth century, athletes at Cambridge and Oxford ran in a clockwise direction. It was also interesting to me that races in the first three modern olympic games – 1896,1900,1906 – had athletes running clockwise. Soon after that period, the international community agreed, after much heated debate, to standardize the direction of races. 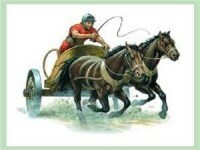 The oldest example of counter-clockwise races were the chariot races in ancient Rome. It is said that the charioteers used whips with their right hands, and the counter-clockwise direction helped them avoid hitting someone else’s horse or another driver with their whip. That makes sense. Then there is the theory that the rotation of the Earth and its orbit around the sun, both being counter-clockwise, have a bearing on the direction of races. 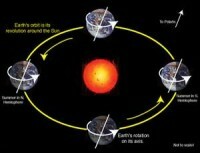 I really don’t understand the point, especially since the rotation and orbit of the Earth are a matter of perspective. If you are looking from the “top” the movement is counter-clockwise, but if you are looking from the “bottom” the movement is clockwise. The predominance of right-handedness within the human race is postulated as another reason. Since most people are right handed (no offense to you lefties), they are more prone to rely on the entire right side of their bodies, including legs. Turning left puts more pressure and requires more strength from the right leg, which is usually stronger than the left. Probably the lamest claim is, since we read from left to right, as we sit in the stadium, we prefer to see runners and cars pass in front of us from left to right. I don’t know what we are supposed to do with those people who speak Arabic and Hebrew languages that read from right to left, or those eastern Asian languages that read from top to bottom. 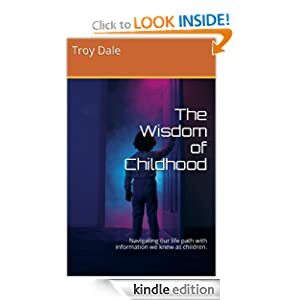 There is even a physiological explanation that has to do with the heart being on the left side, and the flow of blood that is aided by the centrifugal forces applied as we run through a left turn. I’m not sure the folks in charge of making that decision pondered too long on the heart’s function, but I guess it’s possible. What’s my theory, you ask. Well, obviously I have one, otherwise, I wouldn’t be writing this post. Here it is. 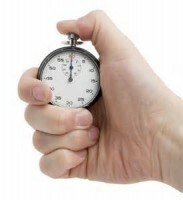 Since each of these races has a stop watch ticking from the start until the last person crosses the finish line, the athletes must be racing “against time.” In reality, aren’t we all? This entry was posted in Racing and tagged arabic languages, auto racing, bicycle racing, blood flow, Cambridge, chariot races, counter-clockwise, Earth orbit, Earth rotation, foot races, google, heart, hebrew languages, horse racing, olympics, Oxford, right-handedness, speed skating, stop watch. Bookmark the permalink. Such an interesting post, searching for the answer to a question that had never occurred to me. As someone who thrilled to the drama of Ben Hur, I prefer the chariot-races theory, but really like your metaphorical interpretation of racing against time. In that sense, I feel I’m running faster with every year that passes. The faster we run, the behinder we get. Unfortunately, I think time is the ultimate winner, but it is still important for us to run a good race. We must ponder in the same direction. Your theory makes better sense than most. As your research points out, counter-clockwise wasn’t always so. Pondering certainly calls one into the research of history. Not a bad place to be. Amazing what one might discover there; it’s a favorite of mine. If we are diligent about looking back at history, I think we will begin to learn the lessons it has to teach us. Some events in history we need to repeat, some we do not. Interesting post and, quite honestly, a question I would never have thought to ask. I do like your theory that we are racing against time. All of us. Nicely done. Thanks. Sometimes I wonder why these questions come to me. I guess it is to give me topics about which to post.